As team USA prepares to take on Spain in the women's basketball final in Rio on Saturday, it remains unclear whether one of their most dominant players will be able to return to the court for the team's final push toward snagging their sixth consecutive Olympic gold medal. 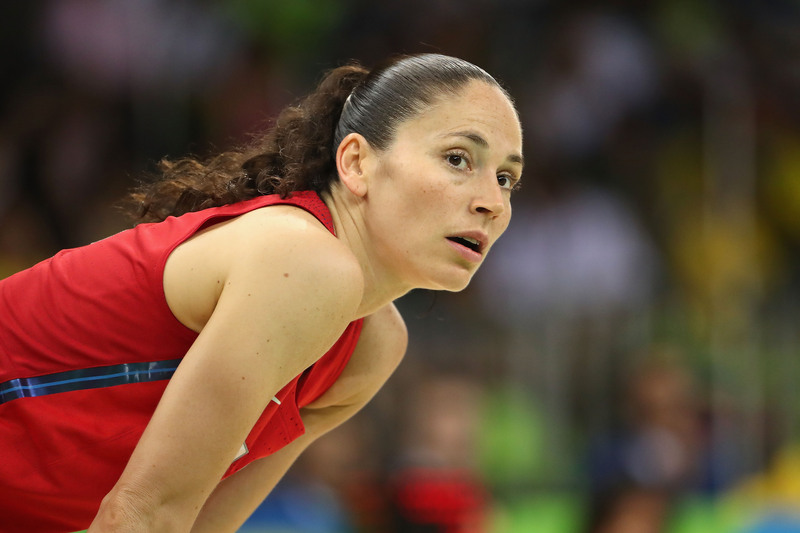 After being sidelined with a knee injury in the first half of Ttam USA's quarterfinal game against Japan on Aug. 16, many have wondered if Sue Bird will play in the final. While the point guard has made no promises she'll start in the final, the three-time Olympic gold medalist returned to practice Friday. Although the team ultimately pulled ahead for an 86-67 win against France in the semifinals on Aug. 18, the team certainly felt Bird's absence on the court. A driving member of team USA for more than a decade, Bird was forced to the bench in the quarterfinals by a sprained right knee capsule, leaving the team grappling to line up their offense in the semifinals. Ultimately, U.S. Coach Geno Auriemma is leaving the decision to Bird. "She'll wake up tomorrow morning and tell us how she feels and we'll go with that," he told the Associated Press. After sitting out both an Aug. 17 practice and the semifinal match-up against France the following day, Bird returned to practice Friday but gave no guarantees about the final. "I can't give you an answer for tomorrow," Bird told the Associated Press. "I can be happy with the way things have been going. Long term is great, short term is getting better." The 35-year-old said she would be listening to her body but added her pain had decreased significantly, telling the reporters it was around "one or two out of 10." "I'm not going to be dumb about it. I'm not going to do anything stupid." But Bird was quick to emphasize her confidence in the team's ability to dominate Spain in the final, with or without her. "Our team isn't built around one person, it's built around 12," she said. "As they showed yesterday it doesn't matter who's out there we have a really good team." A 14-year member of the U.S. national team, Bird has had an impressive career. She helped Team USA capture gold at the Athens Games in 2004, the Beijing Games in 2008, and the London Games in 2012 and is known to be the most decorated male or female FIBA World Championship/World Cup athlete in history.